I think I drank #TheFlyLady’s Kool-Aid…Yum! I skipped writing yesterday, though I had a beautiful, epiphany kind of day. Saturday night I discovered The FlyLady‘s site and decided to “drink the metaphorical Kool-aid.” FlyLady is a support group for people like me, people who have messy homes and maybe messy lives. It’s a whole-system support group and I think I’m going to really like it there. Each day, you get up and get dressed first thing, face, hair, and shoes. You do all of this before you’ve even had your first cup of coffee. You start with 31 baby steps (31 days), then you add on more small challenges. You slowly progress through until you learn how to love yourself, take care of yourself, and make the kind of small changes that will help improve your life. 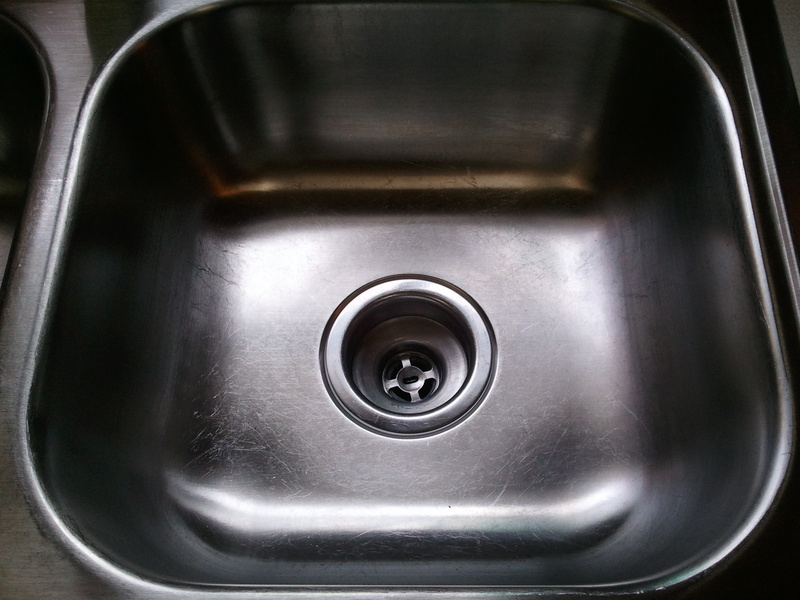 Every night, you make sure to “shine your kitchen sink” before you go to bed. Simple stuff. Lots and LOTS of easy baby steps. I discovered this group through another author’s blog, and since I’m skeptical about most things, I did some surfing on their site before I decided to join them. End of October/early November are the months that I usually make my “New Year’s Resolutions” anyway. I don’t do the January thing. This site fell into my lap at the PERFECT time. I don’t think you’re handed answers to life’s struggles until you’re ready to hear them. This year, I’ve made lots of small changes in my life. I’m ready to make some more. See? Pretty! I can’t remember when it’s been this clean. I hate to say it, but my sink rarely was an empty one. We were a “use a dish, stick it in the sink, and load ALL the dishes into the dishwasher once you have the sink full,” kind of house. I could use the excuse that Hubby and I are busy people, blah, blah, blah…but that was then and this is now. No point dwelling on the past. Last night, I did a quick touch up to my EMPTY and CLEAN sink. YAY!!! It was like the kitchen was giving me a big smile when I got the kiddo off to school this morning. This was one of the smoothest Monday mornings I’ve had in a long while, despite getting a crappy night’s sleep. This time change thing is rough! OUCH! Why am I sharing this? Truthfully, I KNOW that I’m not alone. I think it takes a certain kind of person to pursue writing. You need to be creative, to have the “ability to think outside the box.” But on the flip side, I know a TON of creative people who struggle with perfectionism. It’s all or nothing. Either they do something perfect, or they get depressed and don’t do it at all. This is me. This is who I am. I’m all or nothing. It’s not the healthiest way to approach life. It’s not easy to keep a clean, organized home, regardless…you add perfectionism, procrastination, and creativity into the mix, and I know from experience that the results can be (at times) disastrous. I’m sure there are writers out there who have figured out how to balance it all. If you have, you should feel proud of yourselves. That’s a HUGE accomplishment!!! But I’m not there, yet. I have a lot of clutter and I didn’t have a clear, working plan on how I was getting myself or my family out of our situation. Next postWhat can you get done in 15 minutes? Quite a bit! Isn’t FlyLady great? I haven’t done all of what she says, but I did try starting out with the clean kitchen sink. And she’s helped me with some organizing. I’ve actually bought some of her products. She’s got the BEST feather duster EVER. And the rubber broom is awesome. She’s really got some great ideas. I’ve done her holiday checklist thing a couple of times. That really helps get organized. Hubby and the Kiddo have been on board with this, too. That’s a HUGE blessing. Hubby actually took charge of cleaning off one section of counter, his idea not mine, and last night, I cleared off our table, a “hot spot” and we ate dinner there, like a family. It didn’t take long to clear it off, but it’s been too long since we’ve eaten there together. I got in some writing and a little me time, but though there was some still some guilt nagging at me, I pushed it aside, and got up this morning “dressed to shoes.” Lots and LOTS of baby steps! Aha! This explains the other post :p See what happens when I read backwards? LOL! !